A Spring garden in a container. Tuesday night the girls got together to celebrate spring…although it was snowing!!!! 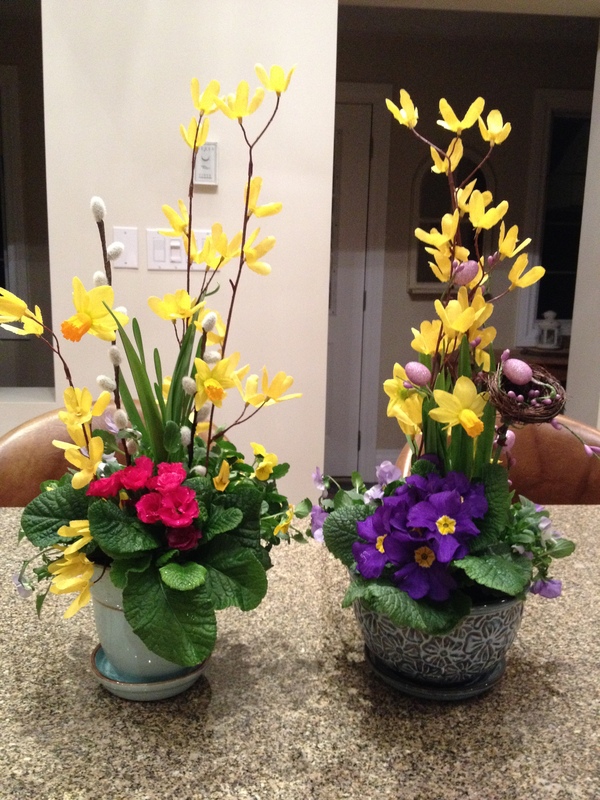 To help celebrate Spring, I created the two centre pieces above to add colour to the table.